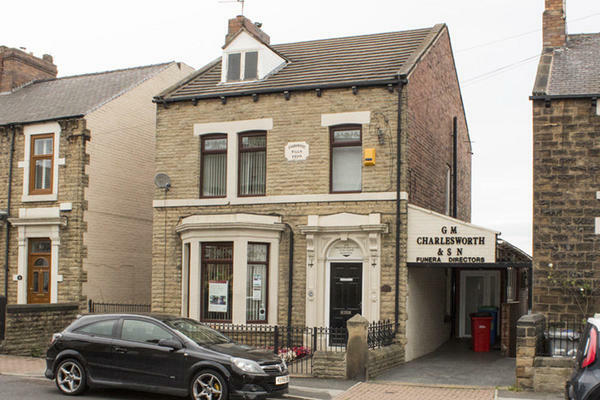 G M Charlesworth & Son Funeral Directors in Barnsley are funeral professionals providing uncompromising compassion and the highest standards of funeral care, services and facilities. We work closely with our local community of Wombwell, helping every family arrange the perfect farewell for their loved one. We can arrange all kinds of funerals, from religious and non-religious ceremonies to woodland burials, colourful celebrations and cremations. Whatever you feel would be most fitting for your loved one, we will be able to help. We will ensure every detail is just as you want it, doing everything we can to make things easier for you and your family. We want you to know that we are here for you, to give you our full support and any advice or guidance to need. You can get in touch with us 24 hours a day, whenever you need us most. Call us today on 01226 753208 to talk through your personal requirements. Our staff are available 24 hours a day on 01226 753208 if you require our services outside of these hours. G M Charlesworth & Son provided the funeral services for my Mother in 2016 and, more recently, for my Father in April 2019. On both occasions the undertakers were approachable, sympathetic and professional while we were making the funeral arrangements. Similarly, the staff on the day of the funerals were faultless in the way they carried out their duties. This was very reassuring to the family on what were understandably sad occasions, and the attendees agreed Charlesworths had done us proud. I am happy to recommend G M Charlesworth & Son, Funeral Directors. Thank you for sharing your experience with us on your online review. I am pleased that we were able to look after you and your family at this difficult time and that the arrangements for your Mother and Father were both carried out to your satisfaction. Very, very efficient and delivered with quiet dignity. Nothing was too much trouble and I am quite certain my late wife would thoroughly have approved of the whole process. Thank you so much, I appreciate your kindness. Thank you for your 4* rating and comment. I am happy to hear that you were satisfied with the service provided by the funeral director. Thank you once again for your review. From beginning to end my mother was looked after with great dignity and professionalism. The company kept me informed of what was happening at every stage of the process. We have a big family and lots of people wanted to visit my mother in the Chapel of rest before her cremation, the staff were more than happy to help everyone who visited and made them all feel at ease. Two of my nephews wanted to be bearers and were allowed without any problem. There were two other bearers on standby just in case they didn't feel like it on the day. The company arranged for a funeral celebrant to visit me and due to family commitments we asked for a late meeting and he came at 7pm which was perfect for our needs. The celebrant provided a lovely service and listened to everything we had to say about mum she would have appreciated it. The bearers walked in front of the hearse until we got to the main road and bowed before he entered the car. I hope we don't have to use this company again for quite a while but will certainly use them again in the future and thank them all for the dignity and care they provided for my mother. Thank you for sharing your experience with us on your online review. I am pleased that you were so well looked after by our team and that we were able to provide you with the care and support needed at this time to ensure that all of your needs and wishes were looked after. Charlesworth's were great from start to finish as they took away a potentially stressful element from a very difficult time. No request was too much, communication was clear and arrangements were organised efficiently and Kirstine and Paul were both compassionate and understanding without ever being patronising. Thank you for posting your online review. I am glad we were able to provide you with the support and guidance needed and that we were able to help ease any worries that you may have had.